Another neat little blaster from developers PLBM Games (see also Submarine Fury), this displays their skill at creating simple and undemanding games which are also highly entertaining and enjoyable. Like the aforementioned Submarine Fury, Hyper Tank is nothing staggeringly original but includes enough twists and features to make it worth playing. 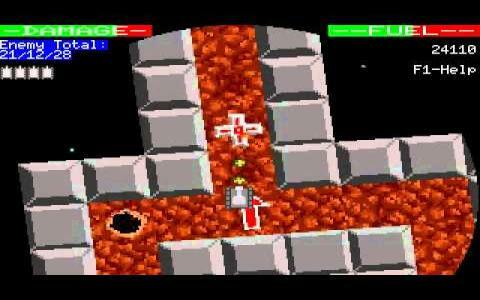 In essence, the game is a straightforward top down shooter, somewhat similar to Blasteroids, Gauntlet or Alien Breed, but with players given control of a tank and charged with navigating their way through a series of challenging maze-like levels. In order to complete a level, 40 per cent of the enemies which stand in your way must be defeated, but for high score freaks the option to go for the'Perfect' rating is always going to be the aim. As with Submarine Fury, a couple of nice touches are also included to add to the fun. Keys are dotted around the levels and which if collected will unlock the doors which bar your progress, but if you really can't find them, then there is always an alternate way around the problem. This little inclusion encourages players to explore as well as blast things and which elevates the game over its simpler rivals. Hyper Tank's controls are nice and simple and make getting into the action swift and painless, while the combat too is fun, fast-paced and challenging. Graphically, Hyper Tank is nothing special, but the sprites are chunky and colourful, while the scrolling and animation and reasonably smooth. 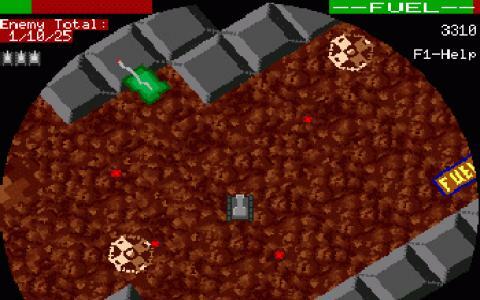 Hyper Tank is certainly far from being a classic, but for a bit of old-school blasting action, it does the job.